One of the things I missed most when I first went grain free was a good wrap. Martina’s tortilla recipe is simply the best keto wrap alternative I’ve found and makes the perfect choice for this healthy lunch. 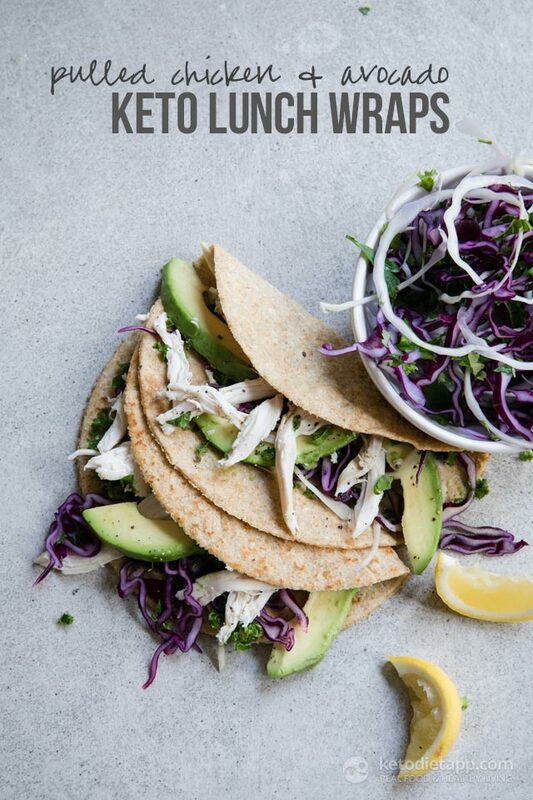 Today I stuffed the low-carb tortillas with crispy pulled chicken, avocado and a simple crunchy slaw for the perfect balance of low carb, protein and healthy fats. Can be made the day before and kept in the fridge for lunch the next day. 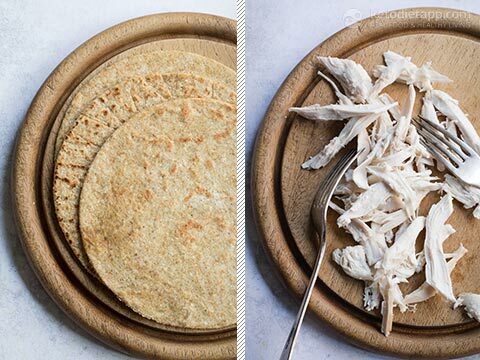 Make the wraps using Martina’s Keto Tortilla recipe. These tortillas can be made ahead of time and stored in an airtight container for up 3 days. Use leftover roasted chicken or shred a broiled chicken breast. 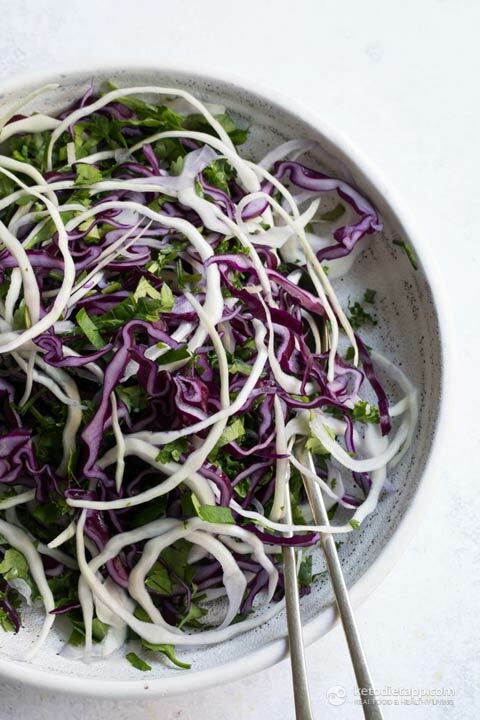 Place the cabbage, kale, herbs, olive oil, lime, salt and pepper in a large bowl and mix well. 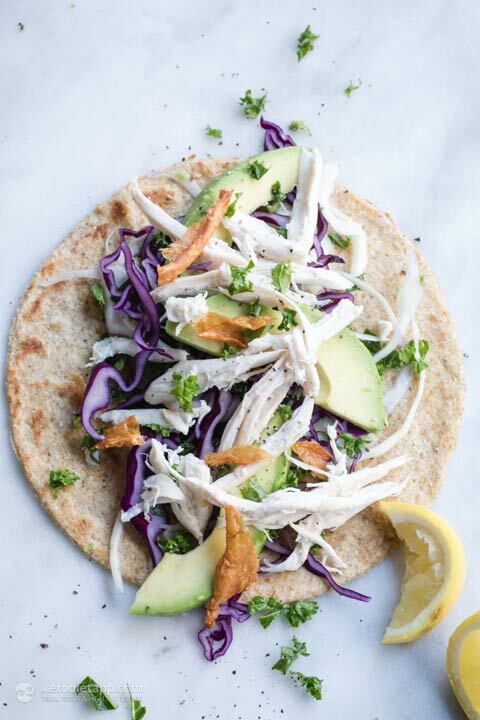 Lay each wrap flat, fill with slaw, 3 - 4 slices of avocado and pulled chicken. Roll up and enjoy. For best results eat on the day or store in fridge for up to 1 day. 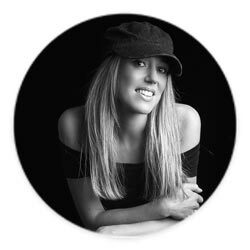 Thanks for this simple recipe Jo. I have recently started keto diet and I'm a huge fan of wraps. Looks like this recipe is going to be very useful. Will try this definitely! These are great. I use a similar recipe and eat it 2 or 3 lunches out of the week. However, if you don't want to make your own tortillas, I save time by using the Carb Balance Tortillas. I think Mission makes them. Thanks for the tip, Shane. Although I do think there may be healthy ready-made tortillas available, I would avoid this particular brand. I checked the list of ingredients and cannot recommend them. They contain wheat, hydrogenated oils, and a long list of other ingredients to avoid. Will the mission tortillas (carb version ) keep me in ketosis ??? 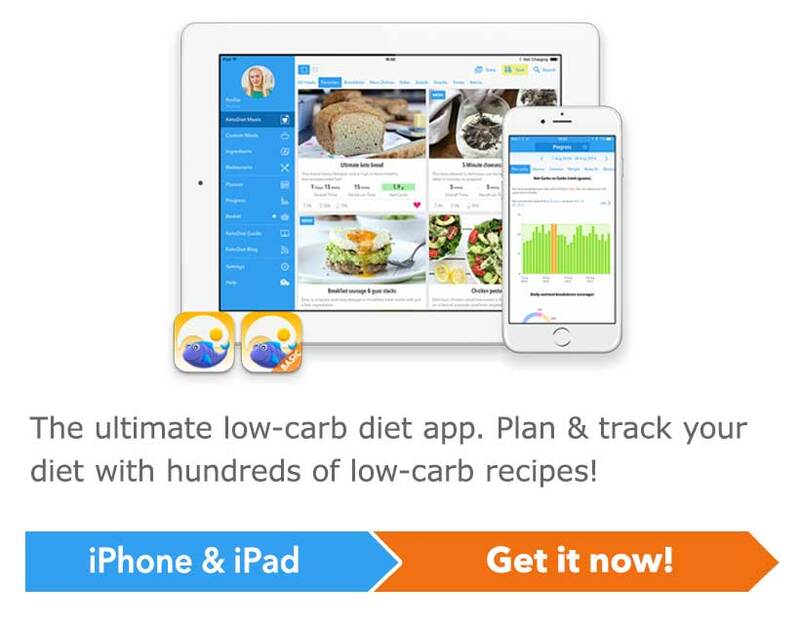 Hi Lyndon, I wouldn't use this brand because they contain several non-keto and unhealthy ingredients but there may be other low-carb options available. Always make sure to check the label.